Update: Planning permission for Power Court has been granted! 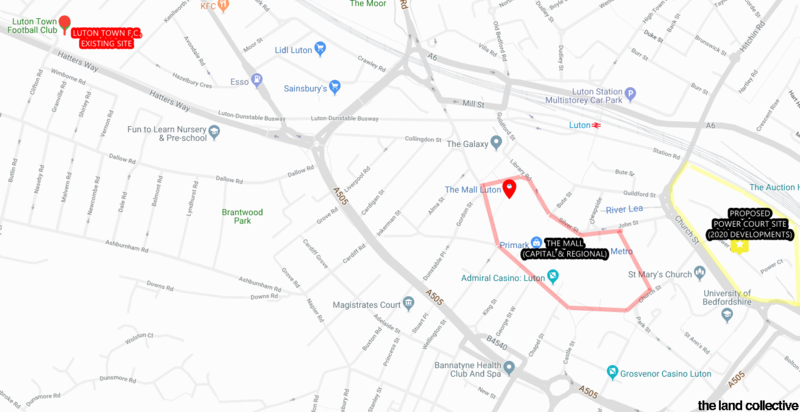 Luton, a rather old, south-eastern English town, notable for London Luton Airport, being the home of Luton Town Football Club and being branded as a valued “commuter hotspot“, having excellent transport links straight into Central London in under 25 minutes. Despite the estate agent marketing speech used in all of our house viewings across the town in 2014 – it’s an understatement to say that I wasn’t sold. Having been born and raised in north-west London my whole life, the reality of moving outside of London permanently filled me with dread, especially after being properly introduced to Luton in a “no-airport-contact” type of way. I’ll admit, upon first moving here, I saw no potential, anywhere. I don’t think I was even interested in “potential”, I just wanted to be back to what I called home… that’s starting to change and so is Luton. On Friday 15 April, Luton Council proudly established itself as a major player in the UK economy and announced the launch of a £1.5 billion inward investment programme. The leading project being London Luton Airport’s £260 million passenger transit system, DART (Direct Air-Rail Transit) more commonly found in major international airports as opposed to smaller airports such as Luton. The DART will transport passengers and staff from Luton Airport Parkway mainline railway station direct to the airport terminal. Additionally, other improvements to the airport in the near future will include doubling existing retail space, incorporating a new £1 million executive lounge and expanding the range of airlines and routes, including more frequent services to popular cities and anticipated new flights to exciting new destinations such as Dubai, Orlando and Cancun. But moving away from the airport, there were a number of key development schemes that were showcased which included multi-million-pound mixed-use developments at Napier Gateway by J2 Global (to be completed in 2020), High Town by Sloane International, Butterfield Business Park by Henry Boot Developments and lastly, Power Court & Newlands Park. 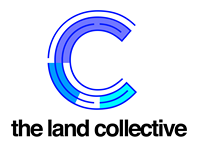 Image: (Top) Land acquired by 2020 Developments for Power Court. (Bottom) Artist Impression of Power Court. 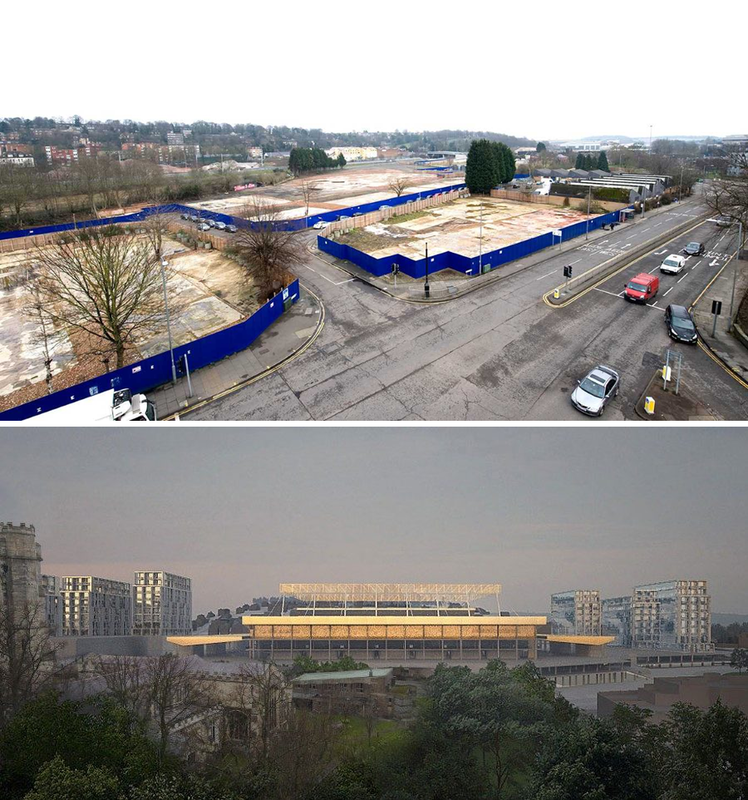 2020 Developments are the developers behind the proposed regenerative plans of Newlands Park and the new stadium for Luton Town F.C., Power Court. 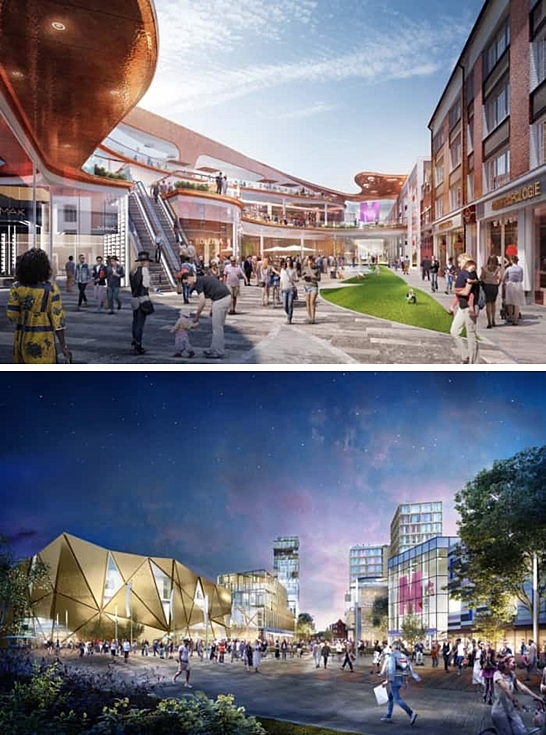 Whilst these plans were welcomed by many Lutonians, excited about the much-needed change in the town, it was met with skepticism by planning authorities and the management of the local shopping centre (Capital and Regional) since the initial applications were submitted over two years ago. Following this, Capital & Regional submitted alternative plans to Power Court & Newlands Park and were heavily accused by the local community and 2020 Developments of delaying tactics, blocking motions and wanting to keep a monopoly of the town centre. These criticisms, however, are slightly unfair, as from a business standpoint Capital & Regional’s concerns are well versed and are understandable. One of C&R’s main issues with the Power Court development is its location. 2020’s Power Court scheme would have to be built on an entirely new site as opposed to redeveloping at its existing one, slightly out of the town centre. This new site is essentially right behind The Mall (see Figure 1 below) and with additional retail being proposed in and around the surrounding area as part of the Power Court development, it’s no surprise that C&R is concerned with not only competition but access and traffic issues that may arise on match days in the future. Additionally, the other part of the scheme, (Newlands Park) is an out of centre development, taking the focus away from the necessary regeneration that the immediate town centre needs. Image: Capital & Regional’s Town Centre Vision (Impressions). C&R commissioned the professional services firm, EY to conduct an economic analysis for its town centre vision, having estimated the GVA (gross value added) to be generated over a 20-year period at £4.3 billion in NPV (net present value) terms. As well as this, CBRE was also commissioned to conduct a viability study on Newlands Park, which according to their analysis would lose around £130 million. Cushman and Wakefield were brought on board to peer review CBRE’s study. Cushman and Wakefield’s analysis estimated a loss nearly the twice the that at £262m, with the claim that Newlands would be 50% unlettable even it attracted an anchor such as a department store. Figure 1: Map Graphic showing locations of The Mall, LTFC & Power Court Site. However, these findings and concerns cannot mean that the pinnacle developments of Power Court & Newlands Park shouldn’t take place. After all, if C&R’s town centre vision was so good, it probably would have been implemented already or put on the table much earlier than 2020’s plans. 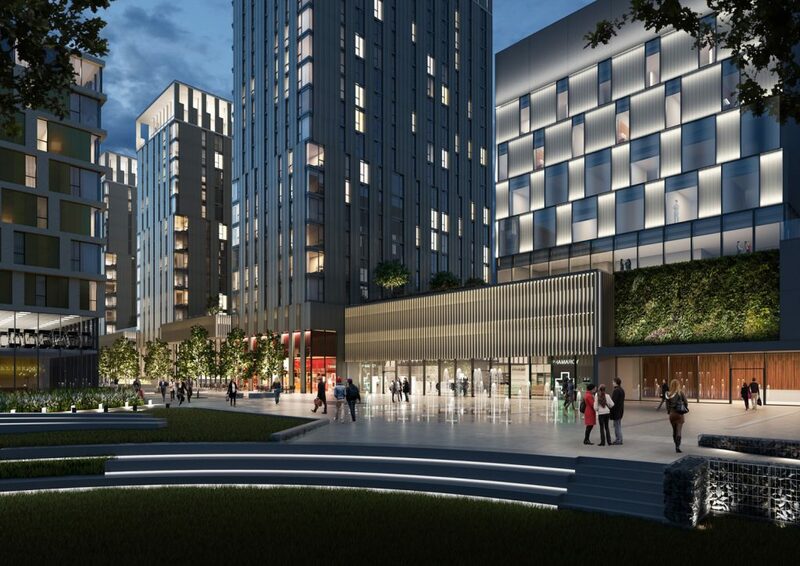 Whilst the Power Court and Newlands Park schemes come with their flaws, these developments will be the catalyst that Luton needs for further regeeration and development. The town centre has seen over a decade of stagnation and with the current retail market complicating things even further, we it would be difficult to rely solely on development plans surrounding The Mall, we would need to look further afield and consider options such as sports, leisure and housing. With the loss of BHS, Marks & Spencer set to close and the fate of The Mall’s anchor store, Debenhams, in limbo given their financial troubles, Capital & Regional would be better placed revising their asset management strategy and tenant mix in the town centre, to ensure that its prepared should Luton take another hit in the future. Combined both of these developments will boast: A 21st century, 17,500-seater football stadium for Luton Town Football Club, a 1,800-capacity live music venue (the biggest in Beds, Herts and Bucks), New and enhanced public piazza meeting space, new bars, restaurants and leisure, high end and lifestyle retail units, hotels, a supermarket, 500,000 sq ft of high spec office space and green space. It would completely transform the way many view Luton today and could bring about much-needed investment into the area, making residents proud to live there. Regardless of the planning outcome on the 16 January 2019, growth and change is on the horizon and it can only get better from here. Previous Law, Land and Drones: Is Our Airspace Really Ours? Is ‘Help to Buy’ Really Helping? Britain's housing market is broken, is help to buy adding more fuel to the fire? Is co-living the accommodation of the future?